There have been 965 images uploaded to this topic. (View topic image gallery). There are 12281 posts in this topic. You are on page 201 of 246. I inquired. I had a Magic City before....fun game. They said it sold a week ago and they never deleted the ad. You can usually find a pallet or ten outside grocery stores like Kroger, around the back where the semis deliver. Buy a $10 pack of the neon orange ratchet straps at Harbor Freight...maybe a roll of shrinkwrap and cardboard or whatever your padding items of choice are when shipping. When you have it all packed and strapped to the pallet, take it to the back door at the Fastenal store. Knock on the back door, give them the password, and they'll take your pallet and ship it. Shrink the head to the cabinet. I just completed my first shipment with Fastenal. To further others' comments, I can tell you they will not insure the game unless it's in a wooden crate. Forget that. Mine was not crated, only shrink wrapped. It arrived fine -- no damage. Of course, it all depends on how well the shipping party protects everything when strapping to the pallet. Nothing can extend past the edge of the pallet. So you must strap the cabinet to the pallet standing up, not flat. They must be able to unload from your trailer/vehicle with a pallet jack. It is probably easier for most people to just bring the pallet and game separately to the store, then get it all wrapped and strapped to the pallet at the store. I found the Fastenal people very helpful. Pallets are available all over the place. Straps are cheap at home depot or harbor freight tools. Yeah, sure. I drive a Saturn station wagon. I have room to move one pin with a removable back box. 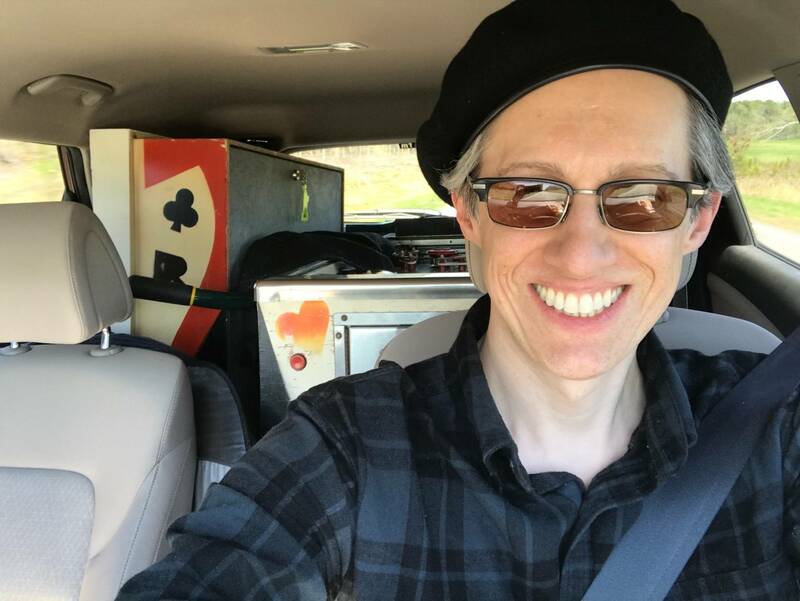 No room to haul an empty pallet, let alone one carrying a pinball machine. 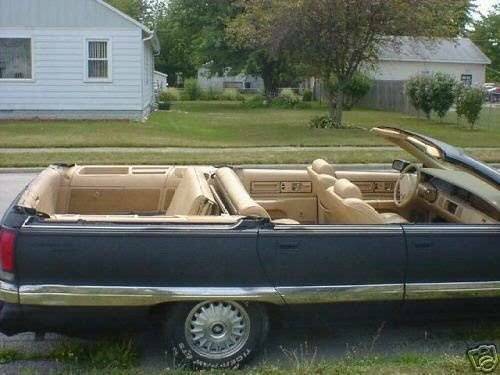 You have a convertible station wagon? Mover's blanket on your roof, you've already got the straps. 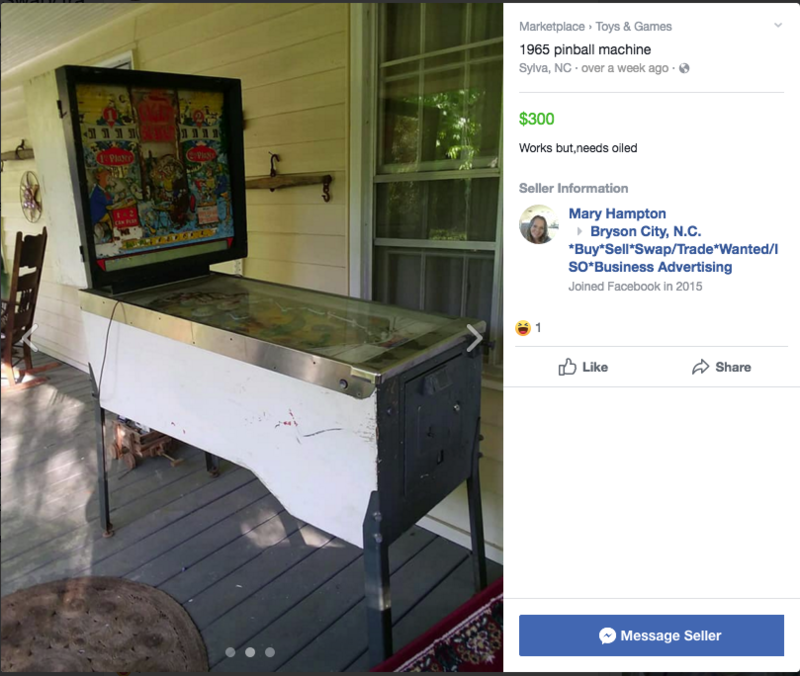 That's how it works for us, but he's referring to the person who has no interest in pinball and just wants to get rid of their machine(s). They make you break it down and haul it off. They don't even want to touch it much less go get a pallet, wrap and straps, then drag it off to a shipper. Bat Poop High Speed is up for sale again...fourth time in ten months! Note: Seller will not ship this. 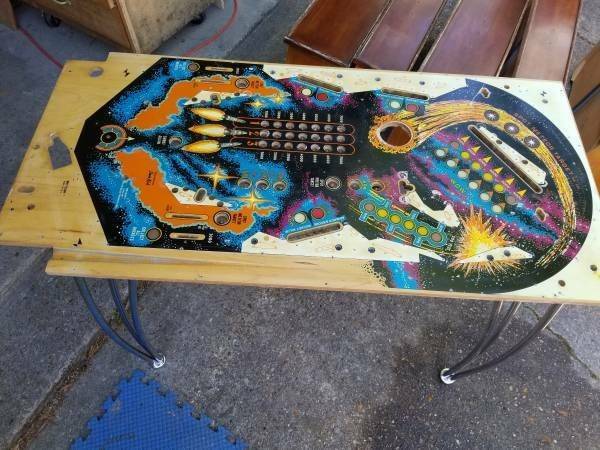 I see a pinball machine that has a populated playfield and an extra populated playfield. OP: I have a project High Speed for sale. This is more than likely a parts machine or for those who like pinball/arcade restorations. This is NOT a ready to go machine and well take a good bit of time to even get back into service. 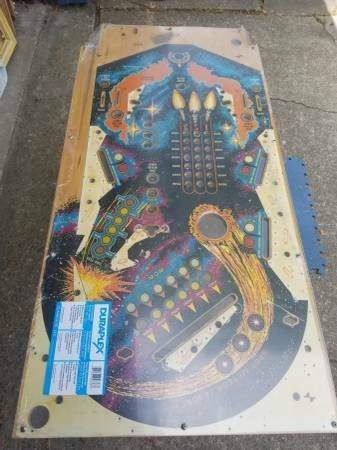 The playfield has some wear and the head unit is missing most of the boards, the backglass, the topper, and has some swelling. There is also some dried bat poop on it due to where it was stored for awhile. Once again, this is a project, not anywhere near a ready to go machine. Ok and I drive a Volt. I could probably get it done or rent a truck if the game was priced right. If you want it done you gotta put in a bit of effort or cash to make it happen. 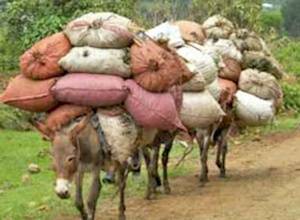 git ya a donkey. they can haul a pallet and game to Fastenal no problem. It's a long story and its not not for me. Did someone here snag this EBD? I emailed fairly quickly but got a response 5 hours later it was most likely sold. 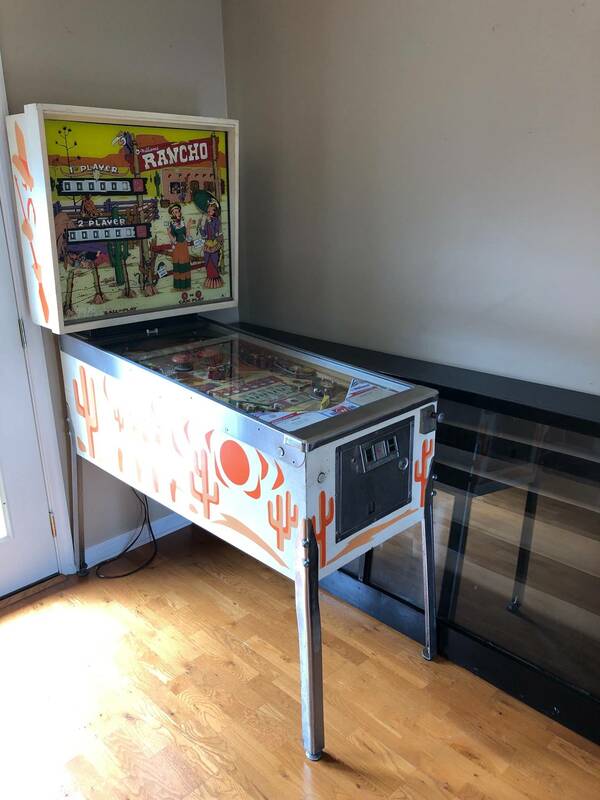 OP: Antique Buck Rogers pinball machine. Very rare. 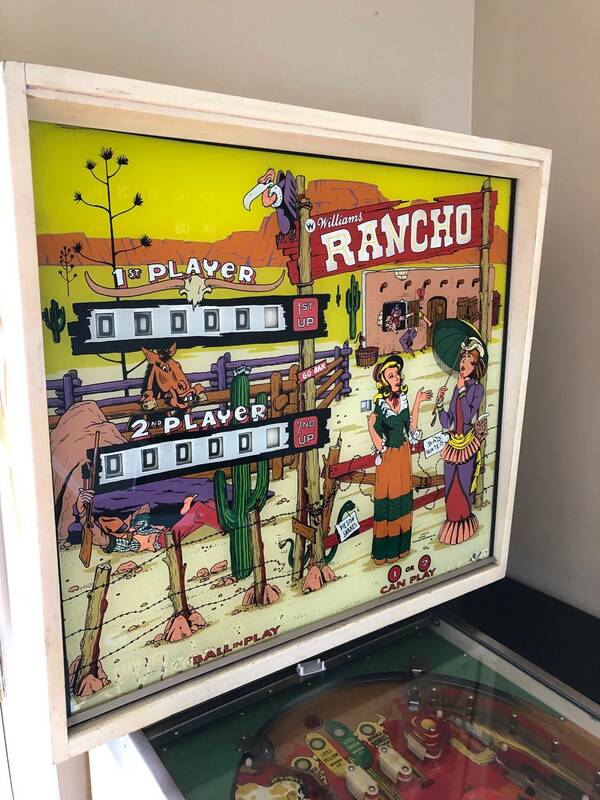 OP: Super nice Bally Joust pinball machine with a perfect backglass & very nice playfield. 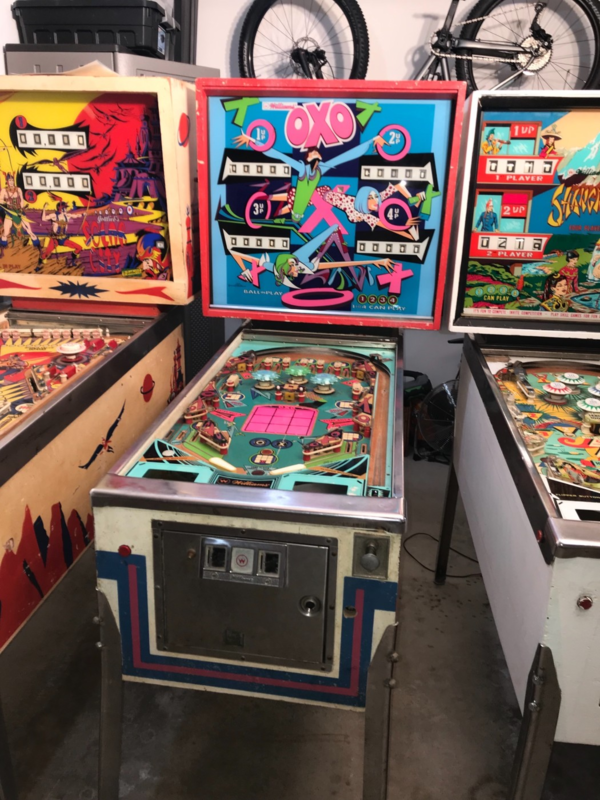 Playfield was torn down, waxed with 3 coats of wax with a high speed drill, all screws & posts tumbled, them re-assembled with all new rubbers & a new mirrored pinball! Every target, bumper, bulbs, score reel....ALL working perfectly!! Get a very nice machine for a good price!! 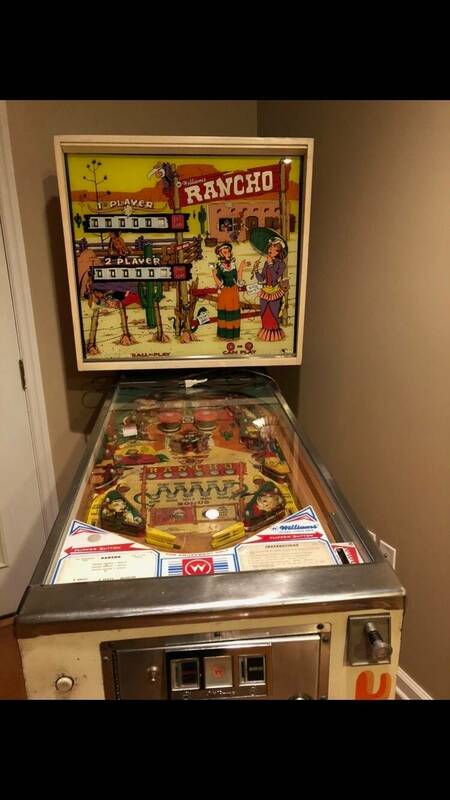 PM me to come see it, play it & take it!! OP: When i got this all but the top flipper worked. I got the boards repaired but now the fuse controlling the solenoids blows every time i hit the right flipper. May be an easy fix. Play field is in mediocre shape but it was working. Still powers on, had sound and scores. Just no solenoids are working. Door and legs look good. Replaced all flipper coils. If you are good at working on these you may get a good deal. Adding a lot of pics so that you get a feel for the condition. Don’t low ball me please. 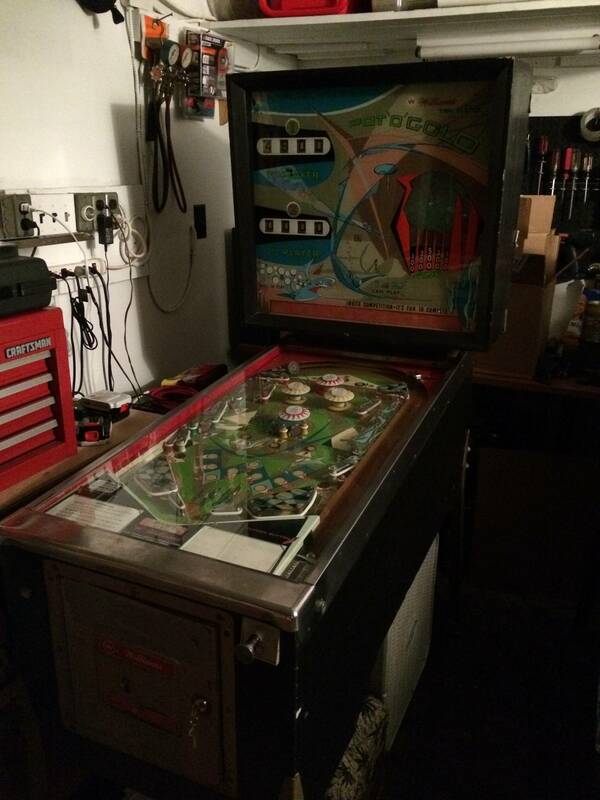 OP: I have a shuffle bowler pinball arcade machine for sale. It does not work but the boards are clean. If someone is looking for a project for a man cave and wants to turn the lane into a bar top you can have it for free without the circuit boards. 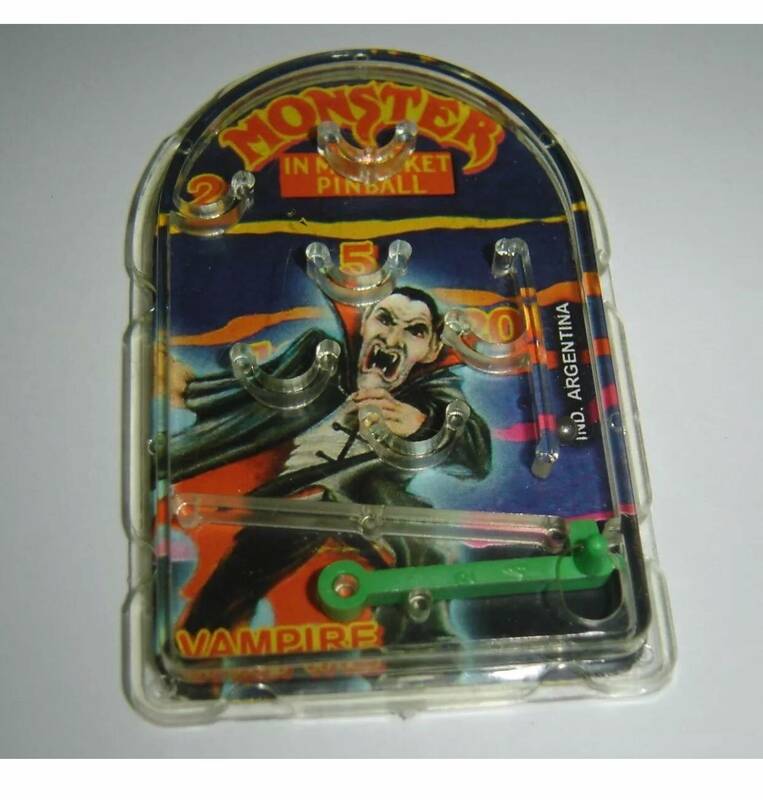 The circuit boards are the same ones used in pinball machines. 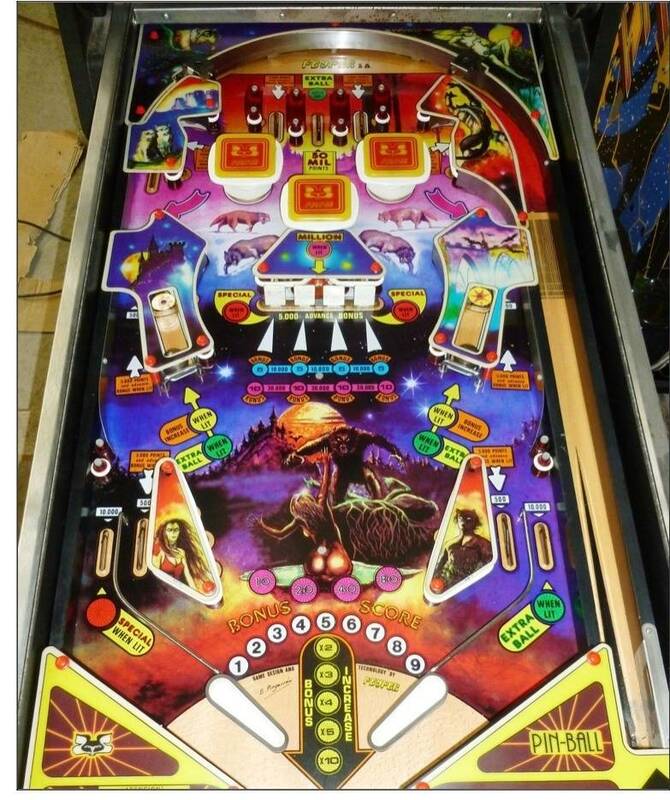 Pinball machine, have glass piece for display but currently not on- needs to be repaired by arcade place. Have not used in over a year. PPU Des peres. This one started at $500 and they upped it after an hour or so. Must have gotten quite a few offers. OP: It's a project I'll never get to and it's taking up the space in my gameroom I need for a kegerator so it's got to go! It's complete, but needs to be completely gone through, and I mean completely! Play field and backglass are in OK shape, definitely presentable. Playfiemd has bed. Touched up in a couple of spots but nothing huge or horrible. $100 bucks and you haul it out of the house, (Don't worry, I'll help you). I can take better pics once I clean the pile of stuff off of it. Anyway, if you're interested, let me know! 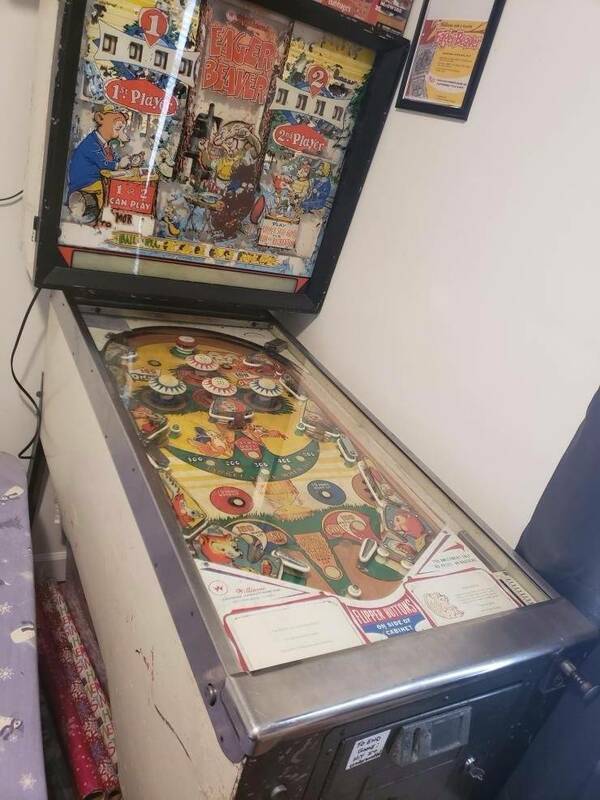 OP: Pinball Machine All original, very nice condition however not working at this time. Lights up but no action. OP: Good condition and working except it kicks out a dead ball at game over. New rubber. Me: These are the remnants of the 40+ project pin collection that she was selling off. 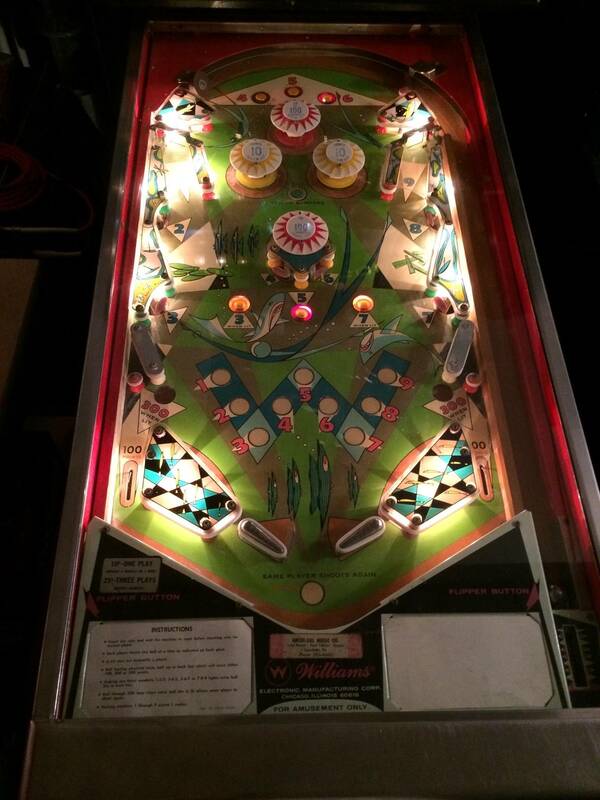 OP: The pinball is complete. Has the manuals and both keys. The game needs some work cause it will light up but won’t boot the game the flippers even work but won’t kick the ball. The mpu is nice with no acid leaking. The playfield is worn. The cabinet has some scuffs in it. There is some light surface rust on a couple of the legs. The backglass is very nice with no peeling of flaking. Would be a great restoration project. Please ask any questions or to see more pics. Buyer to pick up or arrange own shipping. Now I know to offer him $320! 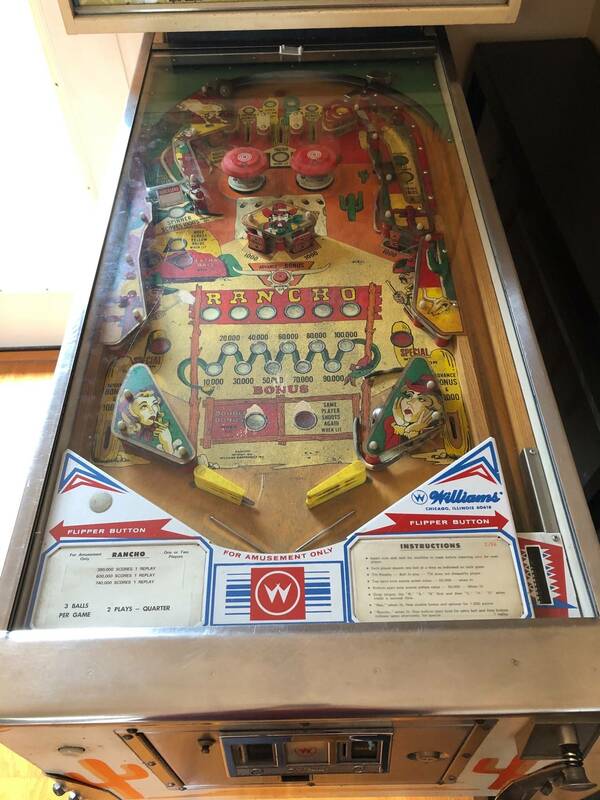 OP: Bid is for a vintage Williams Grand Prix Pinball machine. 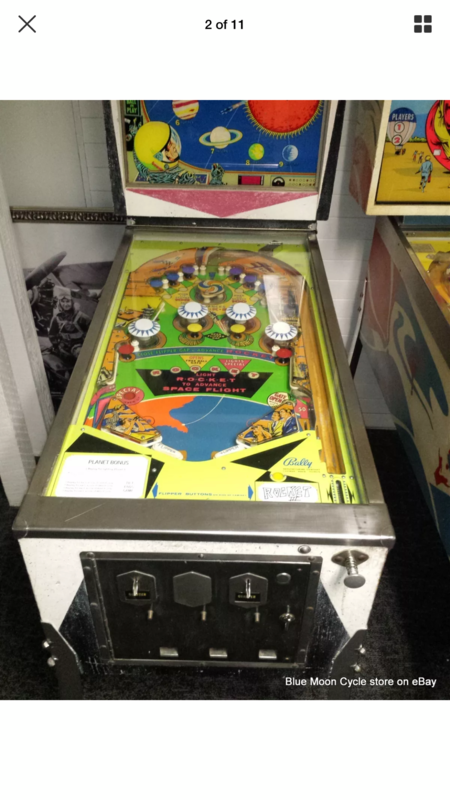 It is one of the very last Electro-Mechanical (EM) machines made, and is a 4-player model that came out in 1976. Machine back glass and play field are in very good condition with only minor defects that do not detract from play; see photos. Legs have some rust. Back access metal panel has a tiny bit of black marker graffiti less than the size of an elementary school pink eraser; might come off. The previous owner seems to have done some rewiring with LED lighting that runs cooler and needs less maintenance, but the unit is otherwise original as far as I know. HOWEVER, the machine is not currently running. It ran great in 2016 when it went into storage in California. The owner before me had done an amazing job reconditioning the unit, but I moved and had to store it. In 2017, it was finally shipped to my new home in Texas, and when it arrived, it did not work. Everything lights up, but the score wheel continuously attempts to reset to zero and never stops. I feel a minor tune-up would solve the problem, but I can't be sure. The nearest repair shop to me is over 3 hours away, and why have it fixed it only to have it get jostled in my vehicle on the way home? I CANNOT ARRANGE SHIPPING. You will need to pick up the item in Plainview, Texas. I will deliver up to 200 miles or so (West Texas/Panhandle/South Plains, Eastern NM, Western OK) for 50 cents a mile. Contact me about shipping BEFORE you bid. NEXT DELIVERY OPPORTUNITY IS LABOR DAY WEEKEND. Fire should be an easy fix! I was joking. He’ll probably go back to everyone that made an offer and give them an opportunity to make a better offer. On these make offer scenarios, it’s probably best to tell the seller that you are interested in buying it and you want to set a time to come inspect it. Tell him that you’ll bring equipment to move the game and cash. Don’t tell him that you want to look at it. He’ll think you’re a tire kicker. 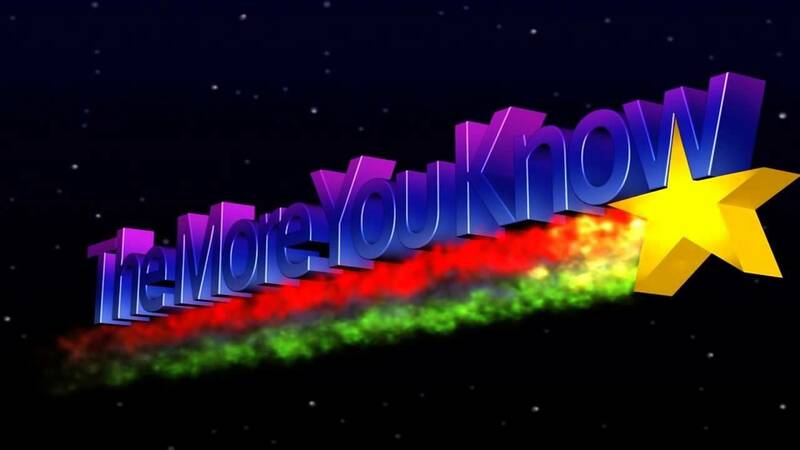 In your email ask for a phone number so that you can call him to set up the appointment. Team zone is an add a ball game. I have one, have it set on three balls per game, and a really high score for an extra ball. To me, this is a fun game. Not sure on the price, but probably can’t go wrong if you hold onto it for awhile. So they could not afford masking tape. I love the coin slot for S.B.A Dollar. One of those estate sales things. Starts tomorrow. Lake Forest Ill.
Wizard looks nice for what I can tell.